My year end balance sheet for last year, shows accounts payable, a liability. This means that the expense for this liability has been taken in the the past year, but of course the payment has not been made. How do I account for the payment of this liability, which of course will happen in the new year? I don't have an expense (since it has already been taken last year) to match the payment in this year. So when I credit my bank account, what is the debit account? 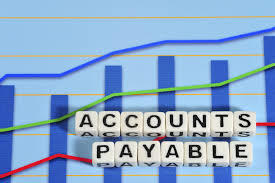 If you are using software such as QuickBooks, you can simply delete the outstanding invoice that has already been paid as it was posted directly to the expense account as opposed to running it through the Accounts Payable register which would have cleared the invoice. Otherwise, normally when you make a payment to a vendor you will credit your bank account and debit your Accounts Payable account which would then clear the outstanding invoice. I hope this helps with your Accounts Payable Balance Adjustment.